Longfellow, America‘s gentle poet, urges us to allow the dead past to bury the dead, and to “act in the living present,” but most of us have to act whether we will or not in order to keep the wolf from the door. As to allowing the dead past to bury its dead not a few of us think its influence is still felt in the present, and at any rate we have a curiosity to know how our ancestors lived and moved and had their being, hence our excursions into fields remote. It is a legitimate and natural feeling worthy of respect, and to gratify it in some slight degree is the object of these notes. We as a people are not content with the blood-stained annals which as a rule absorbed till lately so much of tie historian’s page, but want to know something of the social customs and manners of the past. From the session records of many country parishes light could be shed on the history and de­velopment of the nation, and the lecture which the Rev. Dr Young lately delivered on the parish ministers of Monifieth is, I hope, only a foretaste of others which he may yet give on similar subjects. That the store of information at his command is ample we have his own assurance, as also that of Dr Samuel Miller, who was minister of the parish at the time of the Disruption. 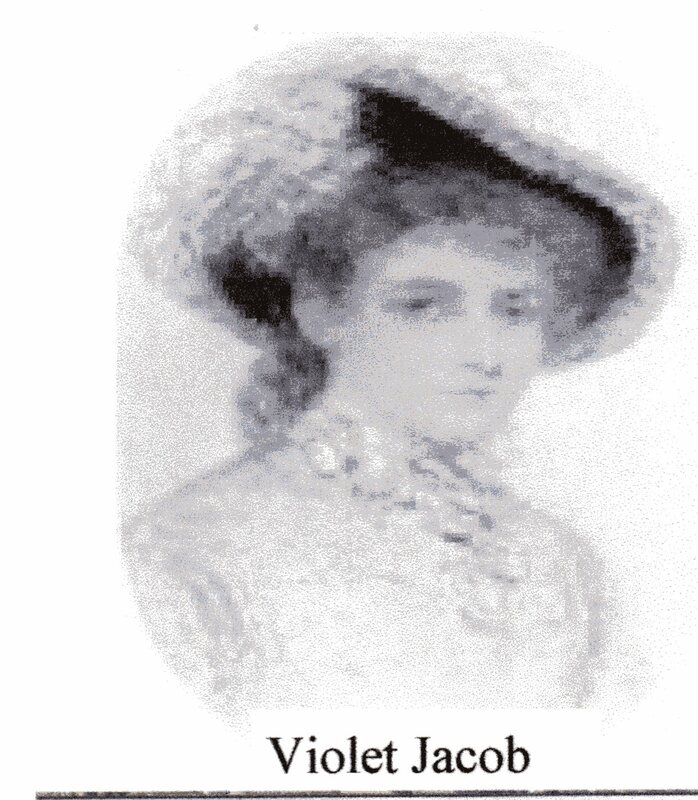 From the latter’s account of Monifieth, published in 1840, it appears that the parochial re­gisters have been with some exceptions kept for a period of over 300 years—in short, they commence at the date of the Reformation. The earliest separate register of births and marriages begins in July 1649. Before this period baptisms and marriages were regularly engrossed in the weekly record of sessional proceedings. This curious archive com­mences with a title which is much damaged, but the entry is partly legible and is as follows:—” In Apryle ye sixth day 1560, the which day it is appynted that our assemble of ye Kyrk of Monefut meet, at twa afternoon, to do with prayer untc God for His assistans what He forordains to His glory and suppressing of Satan.” It will be observed that the tenor of this entry, which is not entire, is similar to that of the bond executed at Perth in the previous year by the Reforming congregations of Perth, Fife, Angus, and Mearns, among which the congregations in and around Dundee are specially mentioned by historians. 2nd, Durham of Grange, the most influential individual in the district, and living on the spot was a zealous Protestant and a near relative of the celebrated superintendent of Angus, John Erskine of Dun. Erskine, indeed, lived frequently at Grange, and according to well-authenticated tradition, had at one time a narrow escape from the Government emissaries sent to capture him. We may, therefore, infer that during these visits this zealous Reformer organized the congregation of Monifieth, and that Durham was his hearty assistant in the work. We know further that John Knox lived much with Erskine of Dun at this period, that he was a frequent visitor at Grange and Pitkerro House—then the property of a son of Durham’s—that he was engaged visiting and conferring with these worthies as to the best means of bringing over completely all those who were alreadv favourably inclined to Protestantism, so that it is not unreasonable to suppose that Papacy was overthrown in Monifieth by the masterhand of the Reformer John Knox. These records are full of amusing and curious infor­mation, besides throwing much valuable light on the history of the district, the manners of the people, the value of labour, and the supreme authority exercised in these times by the church in matters both civil and ecclesiastical. 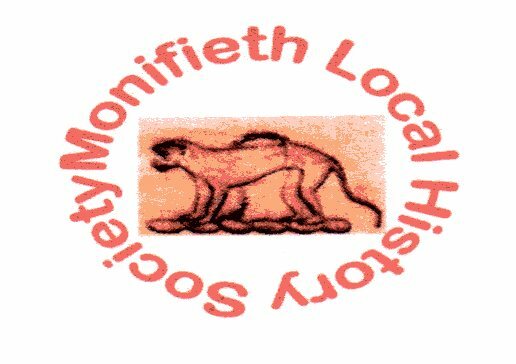 All things considered 2015 has to have been Monifieth Local History Society’s most successful year. The website, thanks to the webmaster’s skills, was viewed by 26000 viewers in 78 countries worldwide. The community project, Monifieth House of Memories visitors book indi­cates there were increased numbers viewing the displays, who came from “a the airts”. Our talks convener organised a series of six consecu­tive weekly lectures ”’Scottish History in Tayside” which brought historians from outwith Monifieth to hear Alasdair Sutherland. Fundraising events proved not only financially beneficial, they were most enjoyable social occasions for all who attended. Sadly we have seen the passing away of long standing members, however numbers remain fairly static with those with an interest in local history joining our group. We have participated in the many local events and at every opportunity tried to support other community organisations. We have endeavoured to achieve the groups main objective. 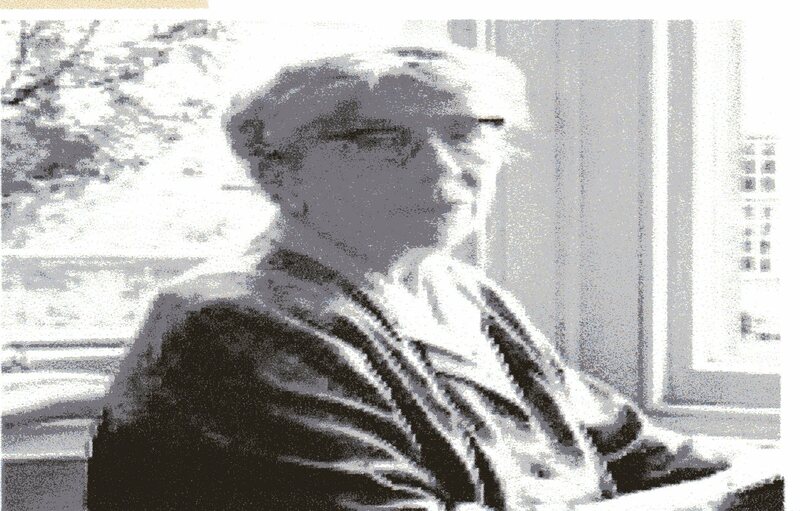 It was at one time said “Monifieth has no history”. We have proved that state­ment to be untrue. My thanks to all those who have supported us and made this possible. For the future, we hope to maintain and improve upon the services we provide locally, nationally and internationally. What does the future hold for Monifieth’s special place, which is now on the Tourist trail and international visitor attraction? This is totally dependent on those who are willing to give a few hours of their time to keep the project alive. The current dedicated volunteers are all very willing, but they all recognise they are ten years older since undertaking a commitment to the Community of Monifieth’s House of Memories. This Project is dependent on volunteers to keep it open. With more willing volunteers and extended ‘open hours’ who knows how many more visitors might enjoy Monifieth’s “nostalgic wonder”? But tell me, ere ye passed them by What saw ye on the way? An that’s the end o my story. Seven days is said to be a long time in politics. 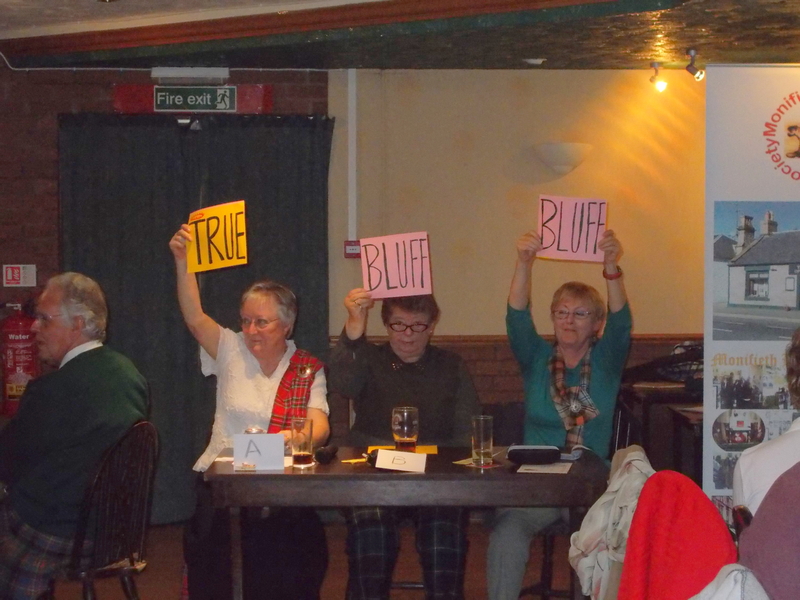 It can also be an endurance test for the members of the Monifieth Local History Society. The prolonged legal negotiations for the lease of 55 High Street, Monifieth are finally reaching a conclusion. Now the `real work` begins. The clearing up, painting, decorating and setting up the displays will keep everyone out of mischief for a while. 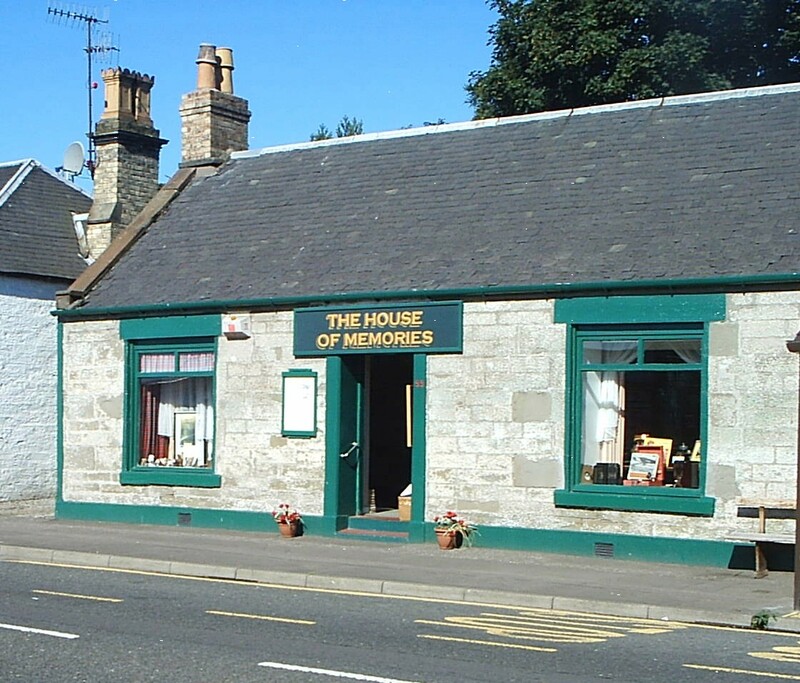 The Trustees, who are to manage the day to day running of the Monifieth House of Memories, are busy with pens, papers and calculators working out business plans, costing strategies and `fund raising` activities. No complaints though, they are eager to see the first member of the public through the door, to view the display, even sit down for a chat about events and days long past. Re. Finalising the Property Lease. The more help and assistance given then the sooner the `Opening Day`. The old saying “Every mickle maks a muckle” could be applied to the situation. Help in any shape or form will be gratefully received. 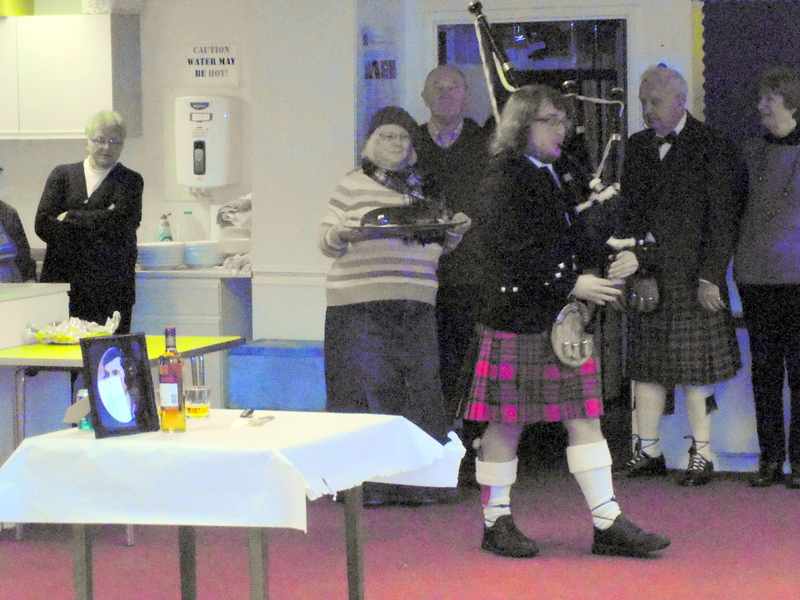 The video “Monifieth Past, Present & Future” is still very much sought after. Already this project has generated £2000 towards funding for the House of Memories. Seven days since the launch in the Monifieth Public Library Learning Suite. We have already had quite a number of `hits`. Tell us what you think of our site? . 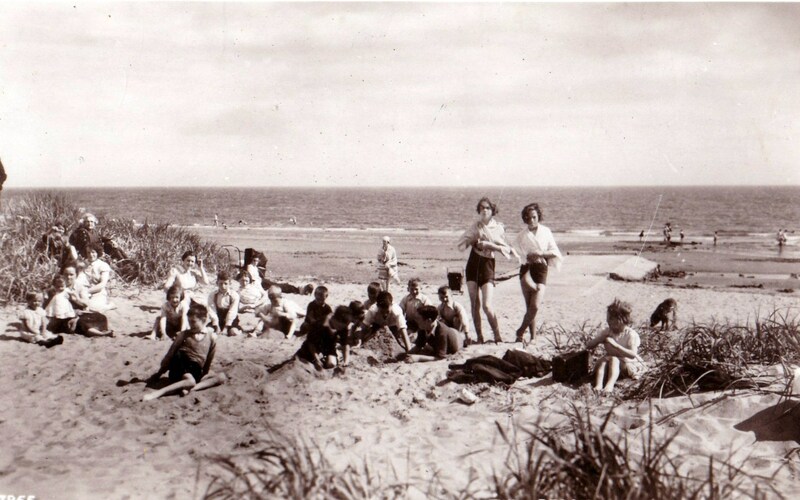 Have you any Monifieth Tales? Who was James Gerard Young? Where was the Tram Depot? Where was Jennie Barrie`s Inn? This week a letter arrived from an internationally, well known “Monifieth Laddie”, Walter Deas. Accepted as one of the World`s leading experts on under water photography and diving, Walter still keeps up links with his `home` town. Now resident in Australia he does visit his family in Scotland, between spells working , in some exotic spot filming . Thanks Walter for noticing us.